Featuring a pink cold shoulder crop top with a pearl scattered dupatta attached on the right shoulder. 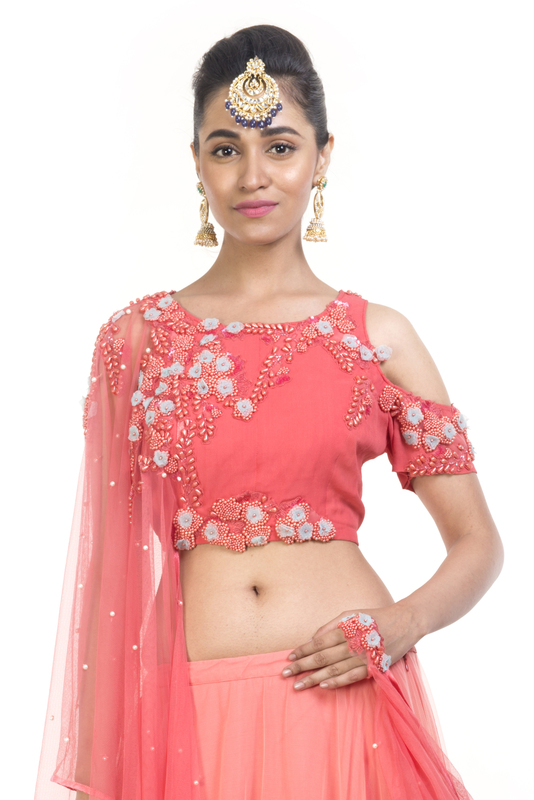 The crop top is embellished with pink pearl and aqua net applique embroidery. 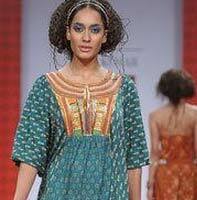 The dupatta has also been given a delicate embroidered wristlet on the left end. 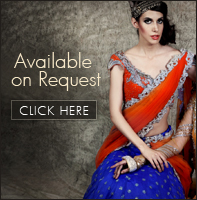 the crop top is paired with light peach net flared lehenga with a monotone silk border.